100% non scratching cleaning and scrubbing pads by Ostrich. Long lasting, durable and bacteria and odor free! 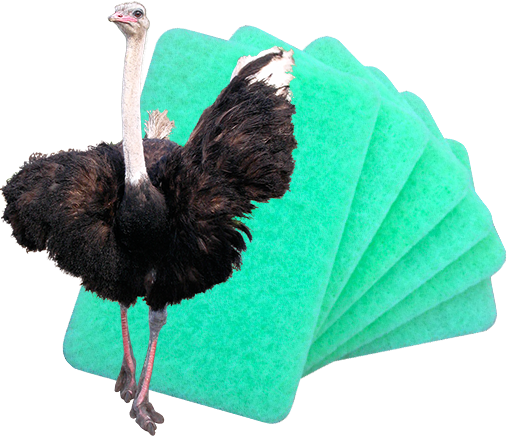 The non scratch green scrubbing pads by Ostrich are made of material that does not absorb and retain nasty water and gunk. These sponges air dry super quickly which prevents the bacteria growth that leads to bad smells! Will outlast 7+ standard kitchen sponges and other green scrubbing pads with ease. Each scrubber pad is made of reinforced material to prevent the pad breaking even with regular use. 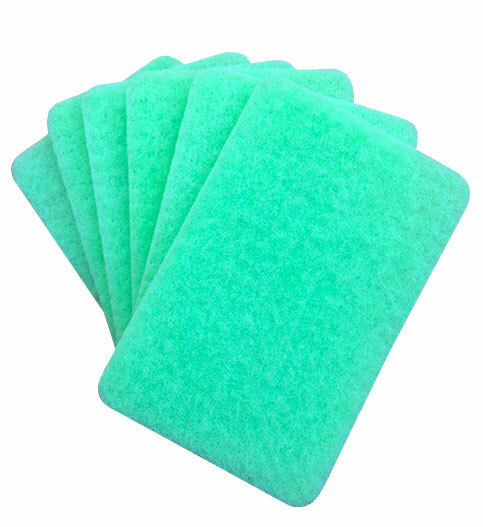 These eco-friendly non-scratch scrubbing pads are easy to sanitize without the use of harsh chemicals. Just rinse them in water and leave to air dry. Dishwasher and machine wash safe. 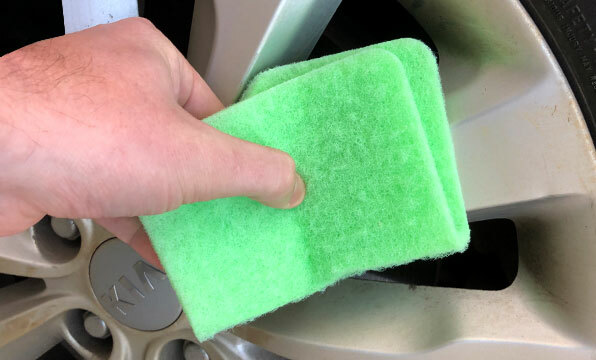 Ostrich non scratch heavy duty scouring pads scour away tough stains and grime with ease - without damaging paint work. These pads are safe for use on all surfaces and make an ideal product for auto detailing, boat detailing and equipment cleaning.